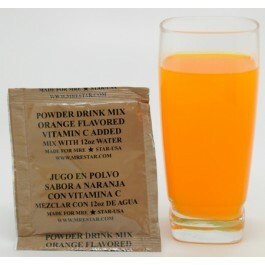 MRE Star Orange drink mix has got to be one of the more traditional, and well loved, drinks. 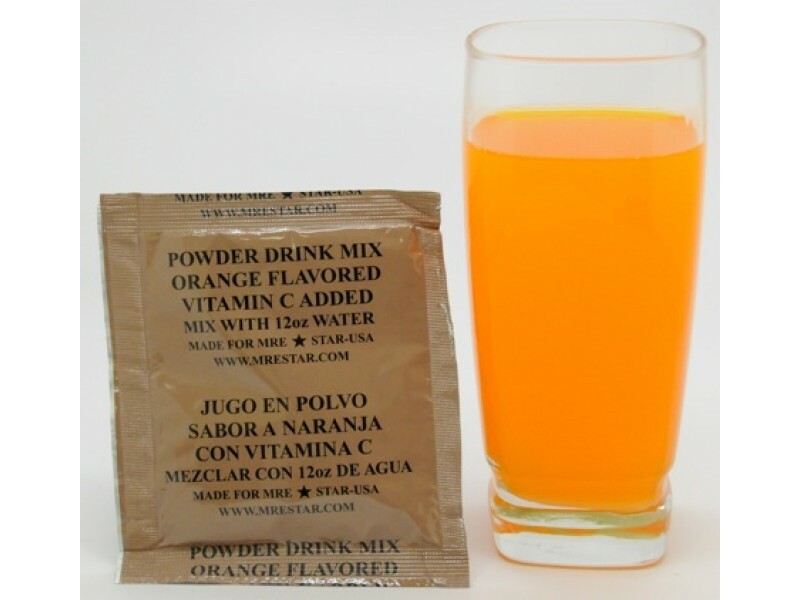 The Orange drink mix is packed full of goodness and is manufactured under HACCP regulations which are very strict quality control standards guaranteeing that this is a high quality orange drink. In addition, the drinks are USDA, FDA and FSIS approved. This delightful orange whip drink comes in single use sachets and is absolutely perfect for flavoring a 12 ounce glass of water. The pouch is water proof, very durable and light weight. It is ideal to take with you on outdoor activities like camping, hiking, fishing and white water rafting. It is also ideal as part of your disaster and emergency food stores because it has a long shelf life.